WASHINGTON — The U.S. government, primarily the Department of Defense, plans to spend some $6 billion on efforts to monitor the space environment in real time through 2020, according to the U.S. Government Accountability Office. That figure, which the GAO acknowledged is not comprehensive, nonetheless represents one of the most detailed accountings of space situational awareness (SSA) programs and funding released to date. The spending is dominated by the Pentagon, with other agencies, primarily NASA, accounting for just 10 percent of the total. Included in the survey are at least some of the programs that U.S. defense officials say are funded as part of a planned $5.5 billion investment over the next five years on space protection activities, largely in response to growing threats from Russia and China. Also included is a classified missile tracking satellite now being used for space surveillance. The GAO carried out the survey in response to Senate language in the 2015 National Defense Authorization Act. The Oct. 8 report, “Space Situational Efforts and Planned Budgets,” makes no recommendations to the Pentagon or to Congress. Tracking spending across multiple agencies on a common activity is a difficult task, made much more so because for some organizations, such as the Missile Defense Agency, space surveillance is a secondary mission and is not accounted for separately. The elusiveness of an overall dollar figure for SSA capabilities has been a long-term frustration for Congress. Space surveillance has taken on increased importance in recent years as near-Earth orbit becomes, as U.S. government officials are fond of saying, more contested, congested and competitive. 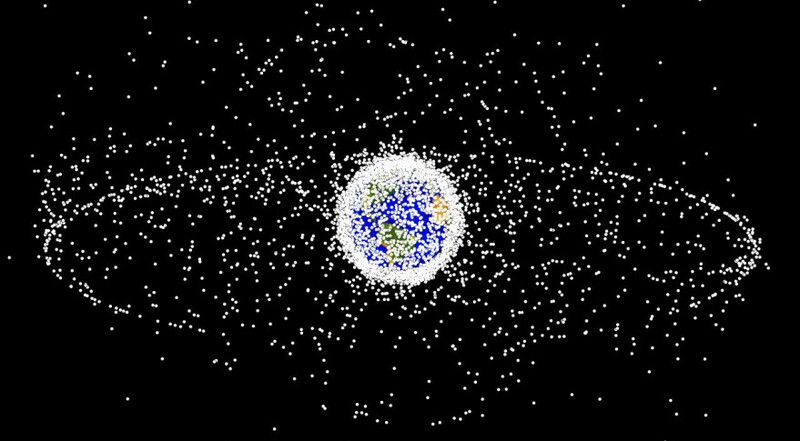 According to the GAO report, the Air Force’s Joint Space Operations Center (JSpOC) issued 671,000 notifications of possible orbital collisions in 2014 alone. Compounding the congestion problem is what government officials say are increasingly threatening activities by China and Russia. The full extent of these activities has not been disclosed, but China has tested ground-based anti satellite weaponry while Russia has been conducting on-orbit satellite maneuvers that have alarmed government and industry officials alike. Part of the Air Force’s response is a major upgrade to the JSpOC, which manages a catalog of known space objects and unofficially serves as the world’s space traffic cop. A second phase of upgrades to the facility, now underway, includes an enhanced capability to catalog known space objects and is expected to come on line in December 2016 at a cost of about $152 million in 2015 and 2016. The third planned upgrade, which includes the ability to provide real-time alerts of hostile actions such as attempts to jam satellite transmissions, will cost about $240 million through 2020, the report said. Previous Air Force budget documents had not included such specific breakdowns. The report also provides detail on the government’s SSA infrastructure, consisting of some 375 sensors and systems owned by the military, civil agencies and the intelligence community. These include eight dedicated sensors, two of which are in space: the Space Based Space Surveillance Block 10 pathfinder satellite, and the quasi-classified Advanced Technology Risk Reduction satellite launched by the Missile Defense Agency but transferred to Air Force Space Command in 2011. The government also operates 18 multimission sensors that in addition to space surveillance can be used for things like missile tracking, the report said. The space tracking radar known as the Space Fence. The $500 million-plus Space Based Space Surveillance follow-on system. The Operationally Responsive Space-5 satellite. The JSpOC Mission System upgrade. An Energetic Charged Particle sensor that would fly aboard the Air Force’s next-generation weather satellite system, which is still being defined. The Energetic Charged Particle sensor will monitor space radiation, data that will be used in part to distinguish between naturally occurring and man-made events. Earlier this year, Air Force Secretary Deborah Lee James mandated that all new satellite programs plan to include the Energetic Charged Particle sensor, prototypes of which are expected to be delivered in fiscal year 2018, the report said. The report also highlights a $60 million Air Force program that will use ground radars to detect changes in the ionosphere. The Air Force Weather group’s Next Generation Ionosonde consists of three ground-based radars whose installation is underway and expected to be complete by 2022.